Four (4) Asian porcelain items, including 18th century Barber or Bleeder Bowl. 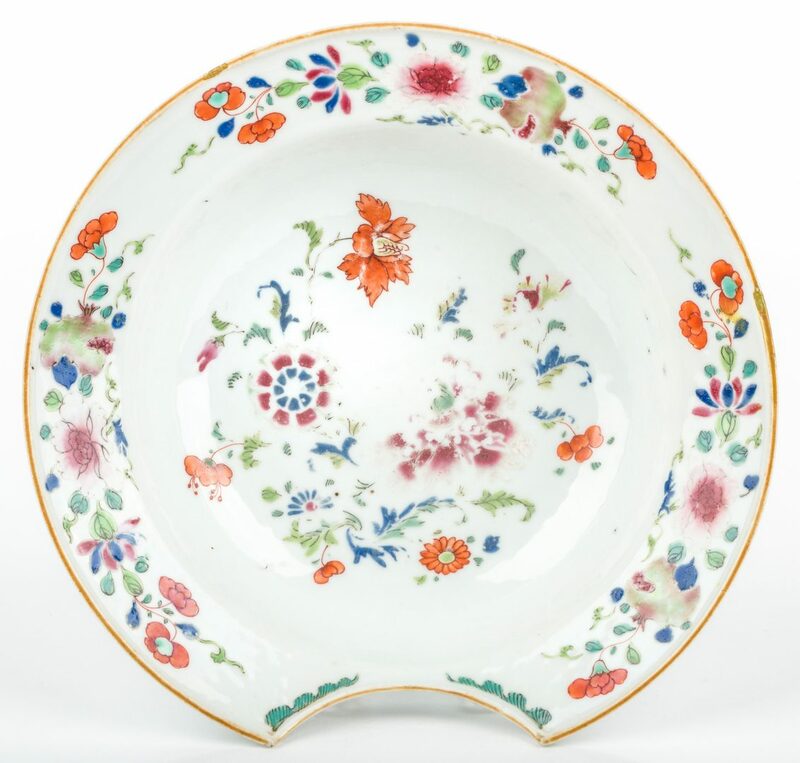 1st item: Rare Chinese Export Famille Rose porcelain barber's bowl or bleeding bowl, overglaze enameled floral decoration to interior, iron red fruit decoration to exterior. Unmarked. 10 7/8" dia. Circa 1750. 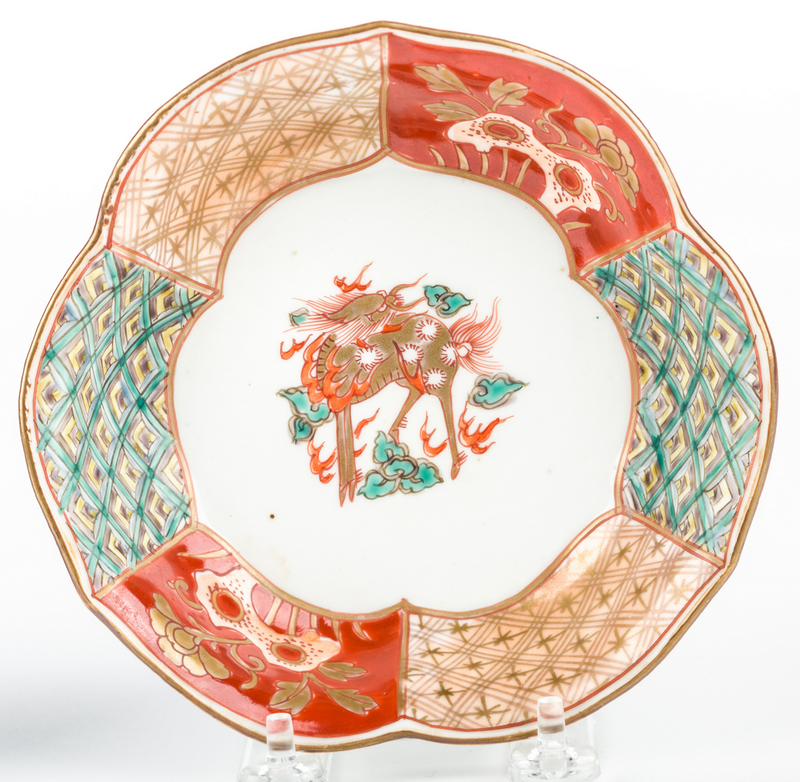 2nd-3rd item: Two (2) Imari dishes with scalloped sides featuring varying diaper and landscape designs and central design of a deer/dragon, blue and gilt decoration to exterior. 6" dia. Possibly Chinese, Circa 1880. 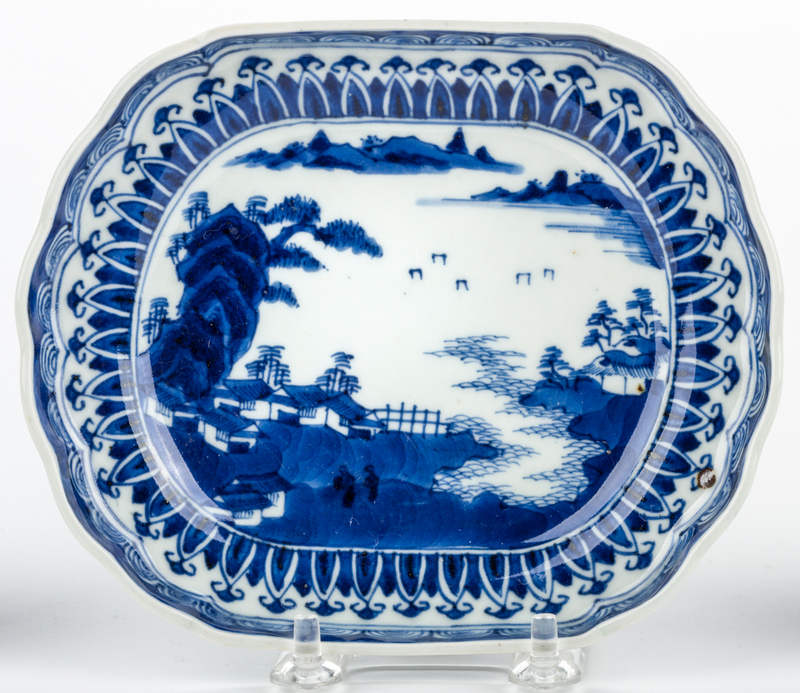 4th item: Blue and White Nanking small oblong shaped dish with landscape and figure scene. Marked en verso. 5 1/4" H x 6 3/8" W. Chinese, mid 19th century. Provenance: The estate of Dr. Benjamin H. Caldwell, Nashville, Tennessee. CONDITION: Good condition overall. Barber bowl with 1/4" shallow rim chip. Wear to enameled decoration at center. Some light wear to border decoration, and scattered firing flaws/glaze imperfections. One Imari bowl fluoresces under blacklight inspection, indicating overpainting, 1/2" x 1/2" area.